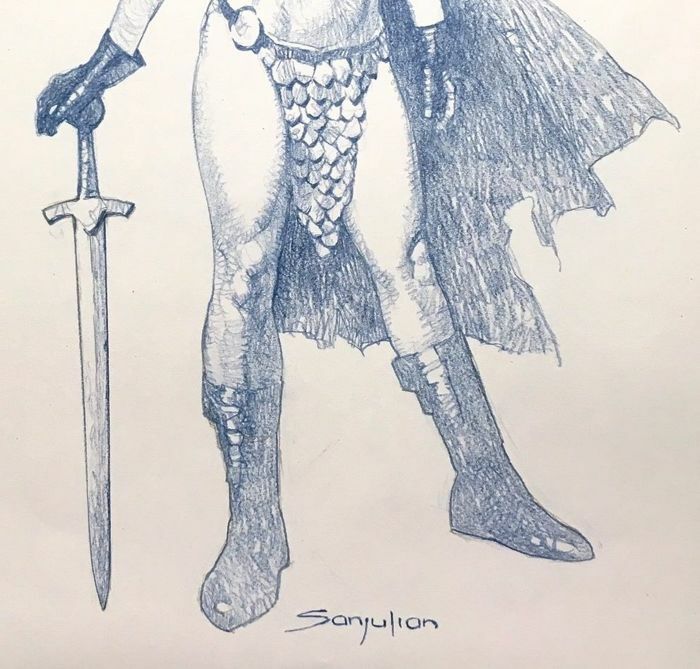 Sanjulian - 40 x 28 cm. 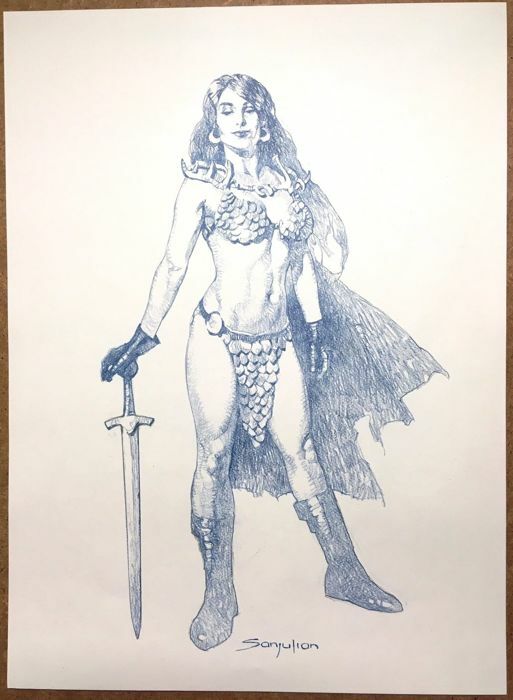 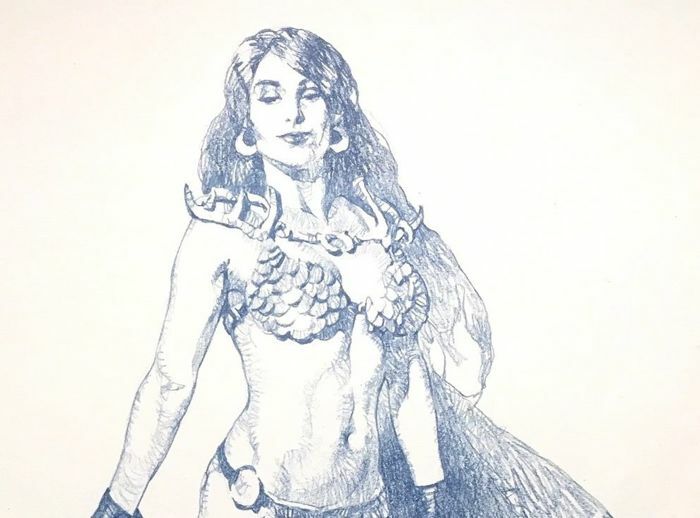 A beautiful drawing by Sanjulian of an impressive Red Sonja - 34 x 22 cm drawing in blue pencil on 40 x 28 cm thick drawing paper. 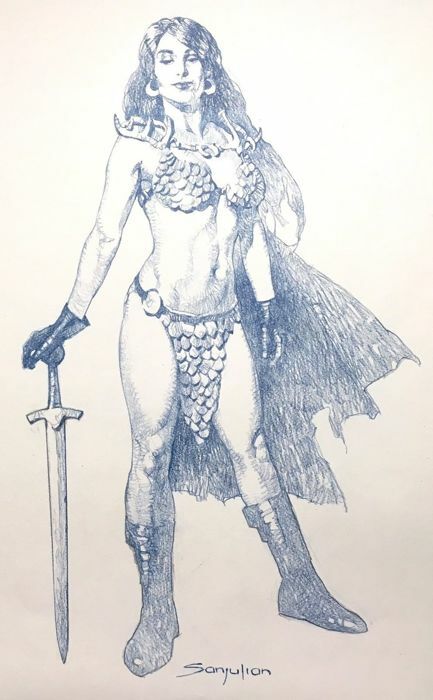 Very detailed and with a beautiful pose!